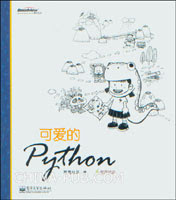 best use of python mascot ever! I talked to a Chinese student on Omegle who was learning to program in C++ and I told him about Python and this post. I send him a link to your blog, but it couldn't be reached from China, because it was blocked for Chinese users. Maybe you can do something about that. Alas, I cannot do something about the Chinese IP blocking. Bill Xu didn't mention it when I sent him the link so I expect the blocking is either erratic or easy to get around. Even more Python accessibility. That is always a win! That's a cute snake on the book cover, but the cartoon depiction of the "savage cannibal", while also 可爱, does not pass muster, not in this century.